A second stage of a multimillion-pound refurbishment of one of the Highland’s most treasured buildings is underway. 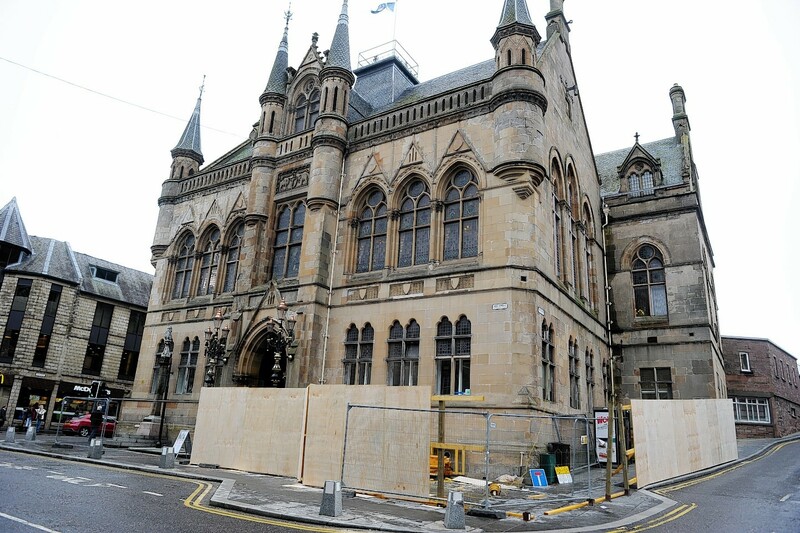 Inverness councillors agreed this week to approve the next phase of a £4.2million project to restore the gothic-built, A-listed city centre Town House. The contract, aided by £800,000 from government agency Historic Environment Scotland, has been largely funded by the city’s common good fund. A separate £1.8million project will refurbish 1-5 Church Street, a common good fund building beside the steeple which was previously occupied by the council services department. That building’s new tenants, Skills Development Scotland, are expected to move in early next year. Inverness city manager David Haas said: “We’re progressing with the phase one works which are affecting the exterior of the Town House. “At the same time, we’re using the opportunity to carry out some much needed rewiring, internally. This latter work is going to impact the use of the civic floor – the town hall and the chamber – because we need to rewire that area. The latest phase will see the civic floor out of commission until March. Phase two will incorporate everything from the front of the building towards Castle Street. Mr Haas added: “I’m privileged to be part of the city’s programme of works and very pleased to see its progress in conjunction with the work that’s going on in Church Street which has seen the upgrading of 1-5 Church Street. Around 150 council staff work at the Town House on housing, in the provost’s office, in city and ward management, procurement, community services and civic activities administration. The main work being carried out is stone repairs and replacement, but also includes full mortar repointing, roof repairs, and window repairs and replacements.